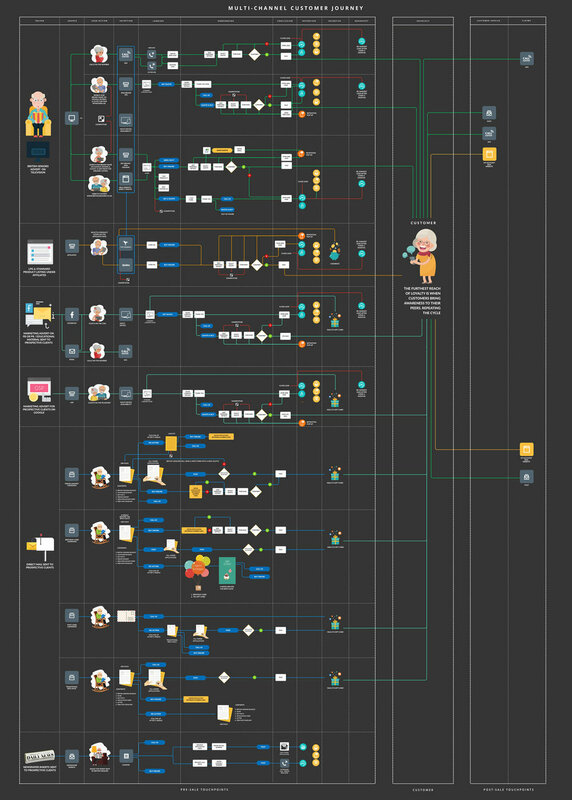 As a UX designer, I’ve been preparing journey maps for many years as a means to help management, clients and working groups to understand customers’ experiences, and this case study will illustrate the value it produces. My brief was to map our existing multi-channel customer journey to identify the friction points and to recommend changes as per UX best practices. 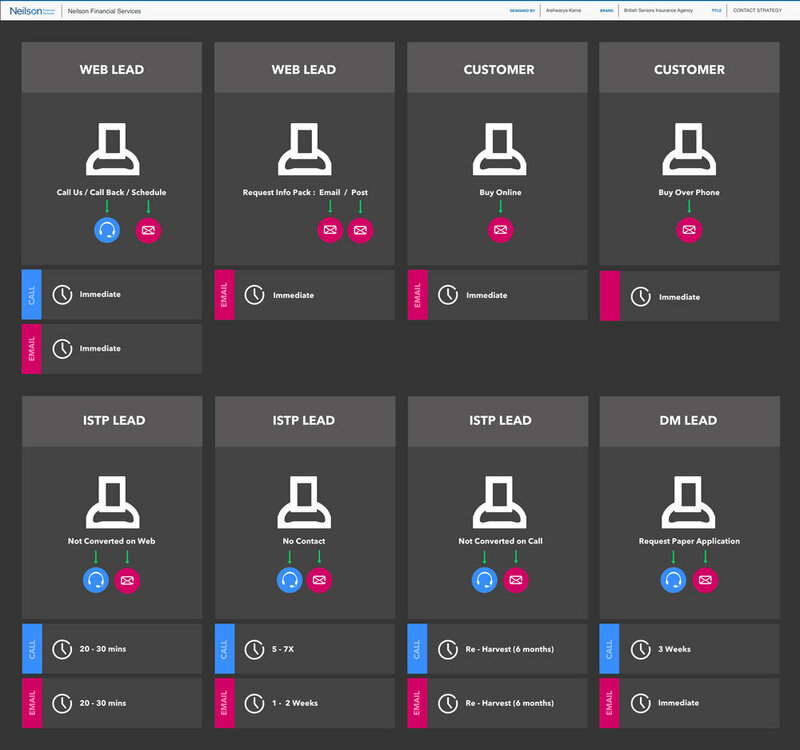 To create a visualization of the major interactions shaping our user’s experience through all the channels. Journey maps are very useful for understanding the experience that a customer, user, employee or other stakeholder has that involves your company, product or service. We started working on this project to provide business a bird’s-eye view of our brand touch points. This exercise helped everyone to see the sequence of interactions that make up a user’s experience including the complexity, successes, pain points, and emotions users experience along the way. It looks at mapping out the total customer experience across all touchpoints between the customer and the organisation, from initial contact, through purchasing onto after sales support. The company wants to provide to the customer. Customer touchpoints are our brand’s points of customer contact, from start to finish. For example, customers may find our business online or in an ad, see ratings and reviews, visit our website, shop from our affiliates website, or contact our customer service. Seems like a long list, but these are just a few of our touchpoints! To improve any product, it is important to first identify what needs improving and why. Once we had the multi-channel customer journey map ready we looked into web analytics of our website to understand ‘what’, as in what is happening, for example which pages are driving the most site exits. We carried out research to analyse these friction points. The core focus was to understand why users behave they way they do. We started analysing our forms, watching how users interact with these forms and analyse their user behaviour. This helped up in understanding the ‘why’. A better understanding of user behaviour helped us in our optimisation plans, for example shaping test hypotheses. If you know why someone isn’t converting, it’s much easier to come up with suggestions for how you can tackle the problem. With the analytics data we understood that a large percentage of users landing on our quote forms are not converting. Research shows that over 70% of the abandoning site visitors never return. So it was very important to understand the pain points and re-engineer the task flows. While filling a form users have changing requirements on each step, so it was important to understand user behaviour step by step. After some heuristic analysis, comparitive analysis and remote video testing, we listed few usability issues and also analysed what could be the friction points. We also listed some new features which could be good to test. UX (user experience) and CRO (conversion rate optimisation) are two commonly used acronyms in the digital world. User experience covers all elements of an end user’s interaction with your product, from the behaviours they display to the way they engage with site elements and marketing content. The process of UX Design involves understanding the needs of the end-user in order to conceptualise and create experiences . A customer wants to experience an organisation that provides a single seamless journey across all touchpoints from initial enquiry right through to any required post sales support. Every time a customer contacts the organisation or its representatives, there is an opportunity for a customer “moment of truth”. These “moments of truth” are opportunities for the organisation to make a good or bad impression on the customer and are key moments in the customer journey.